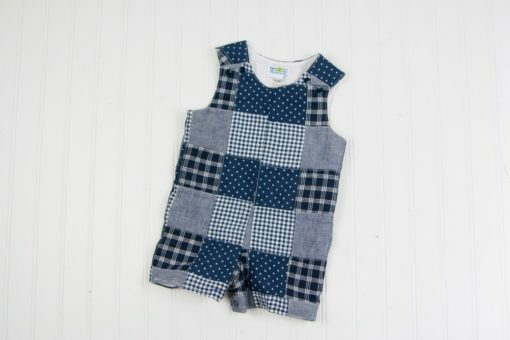 This adorable shortall is made of navy stitched madras patchwork plaid. Choose to add a monogram or name if you’d like! It’s fully lined, 100% cotton. Snaps at the shoulders rather than buttons. Snaps at the crotch for easy diaper changes. 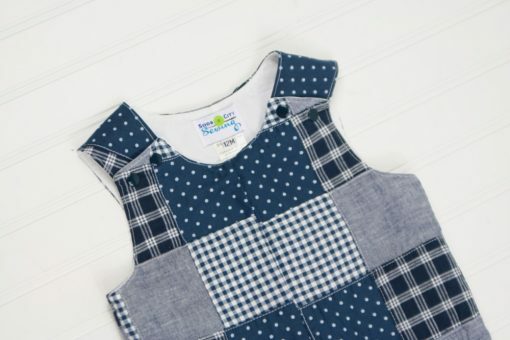 Completely machine washable! Our madras plaid shortalls are great examples of modern yet traditional baby clothes! 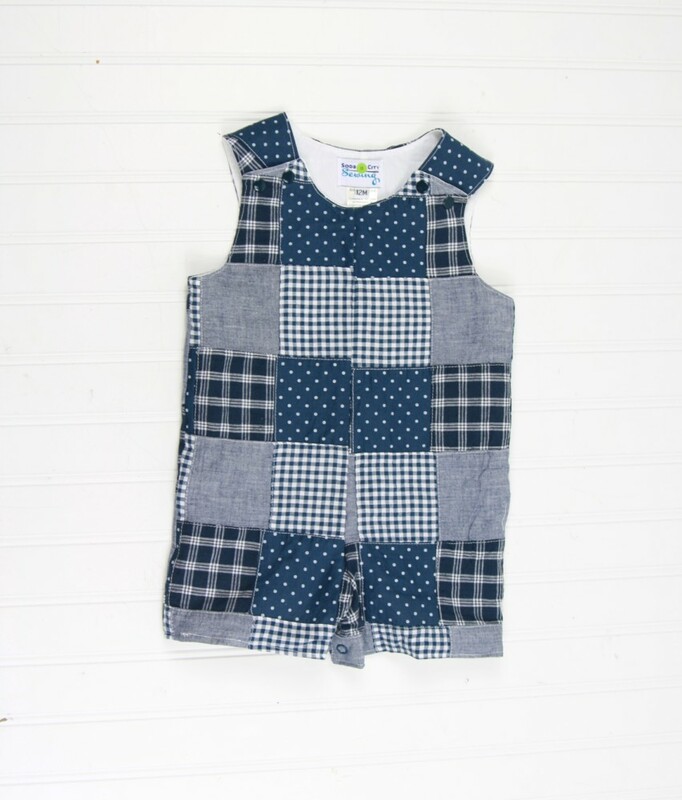 This little plaid number is just the ticket for a preppy little fella! Our madras fabric is made of stitched 3″ squares for a unique look that you just have to touch! These unique outfits are lined in 100% cotton and, while the fabric is very sturdy, it’s lightweight enough for summer as well. It looks cute alone, with a t-shirt, or with a collared shirt underneath. Choose to add a name or initials, or leave it plain. 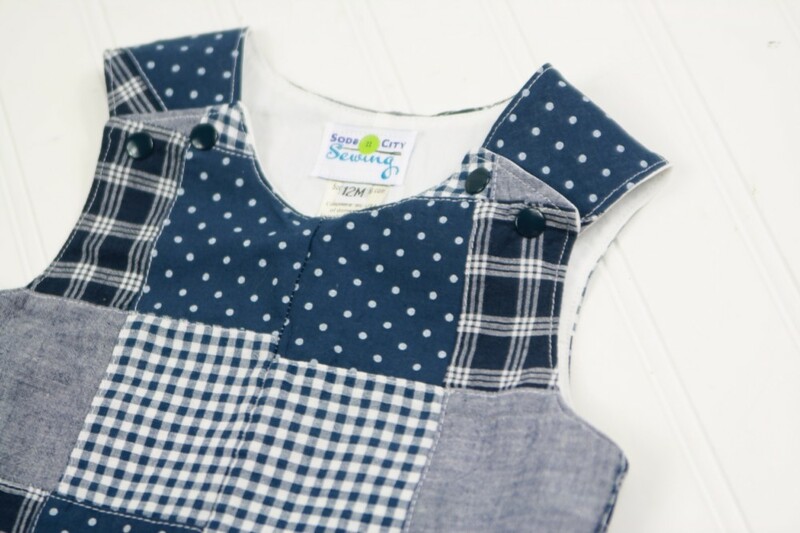 It has navy snaps at the shoulders (rather than buttons- you’ll love the convenience and the look!) The outfit also sports snaps at the legs for easy diaper changes. These outfits are perfect for birthday parties, beach pictures, special occasions or every day. They’re completely machine washable so he can wear it again and again! 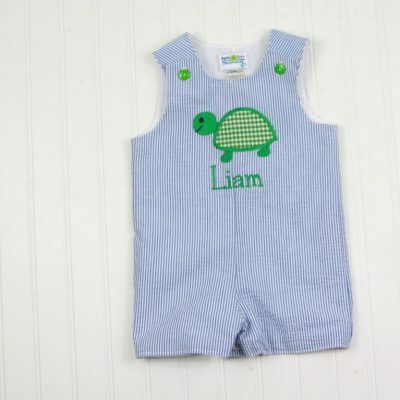 OPTIONS: You can order the outfit to be plain madras (without embroidery), add a name, or initials. Choose your options as you put the outfit in your cart. Thanks for visiting Soda City Sewing, where we handmake boutique baby clothes just for you, in Columbia, SC!